Kerry Hudson was born in Aberdeen and travelled the length of the country during her childhood. Her first novel, Tony Hogan Bought Me an Ice-cream Float Before He Stole My Ma, won the Scottish First Book Award and was shortlisted for an array of prizes including the Guardian First Book Award and the Sky Arts Awards. Thirst, her second novel, won the prestigious Prix Femina Etranger. 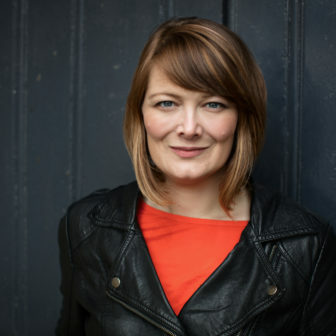 She has also written for Grazia, Guardian Review, Observer New Review and the Metro newspaper. Lowborn is her first work of non-fiction, and her journey led to a highly successful column for the Pool. Before becoming a writer she worked for a variety of NGO’s and charities and alongside her writing, she founded The WoMentoring Project, which offers free mentoring to female writers who would otherwise find it difficult to access similar opportunities. She has been writer in residence for the British Council in South Korea and Latvia, mentored with IdeasTap Inspires and TLC, teaches for the Arvon Foundation and is a sought after speaker on issues of poverty and diversity.